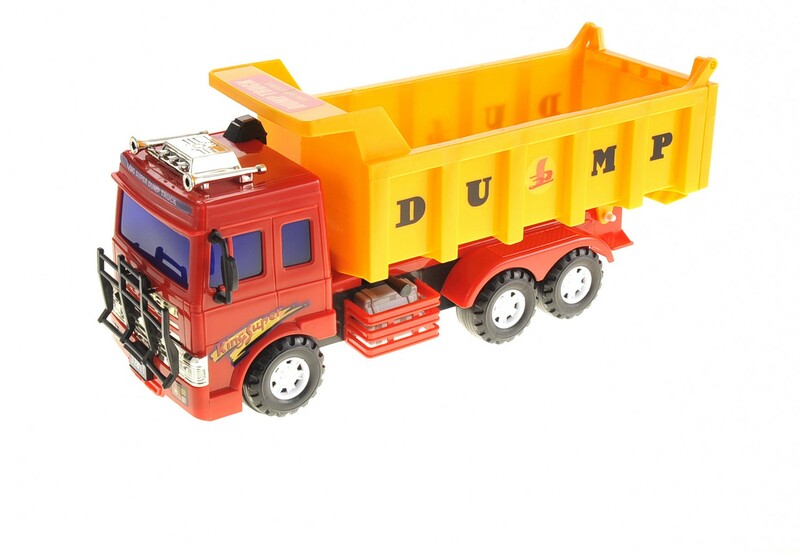 The Dump Truck is perfect for boys who love toy trucks or love collecting classic toy trucks. 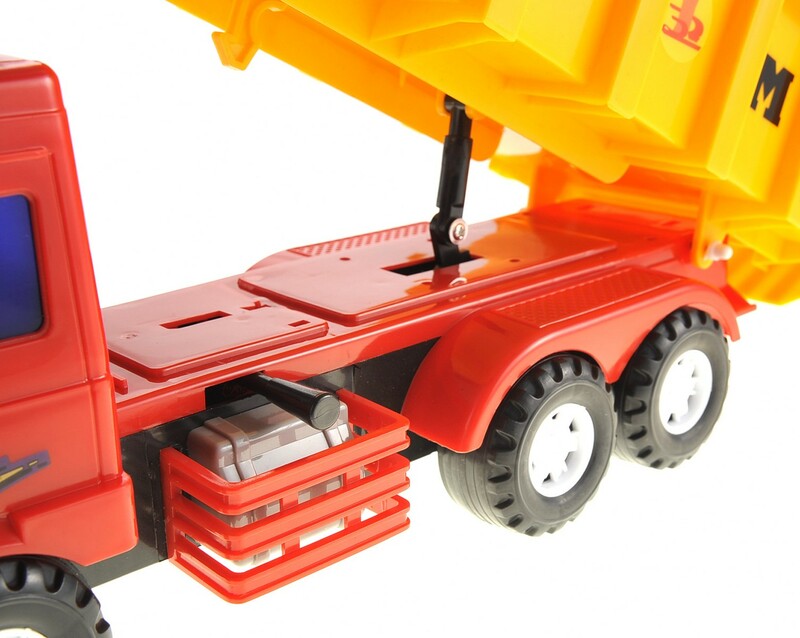 The installed friction power in the wheels is simple to use and kids will like the fact they can pull it backward and their truck zoom pass them. 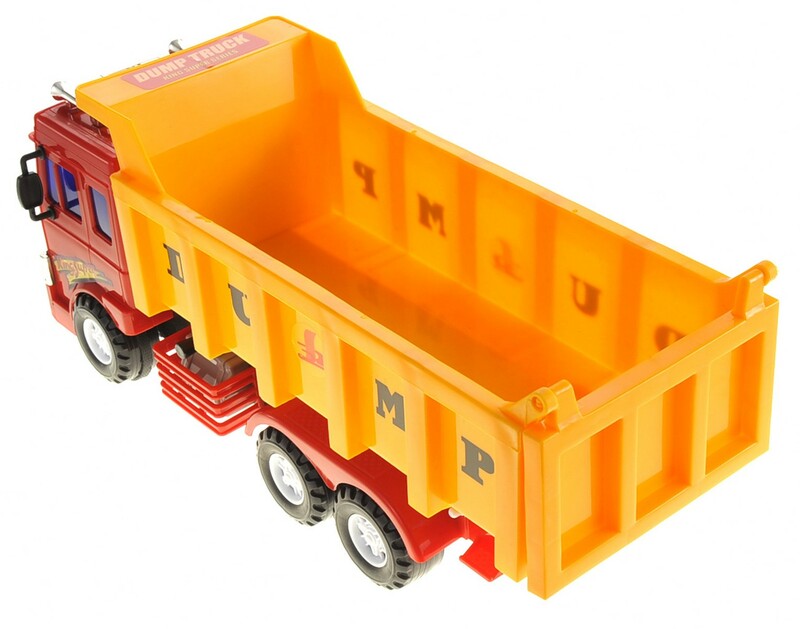 This truck is able to load lots of items onto the back container and carry them away with ease. 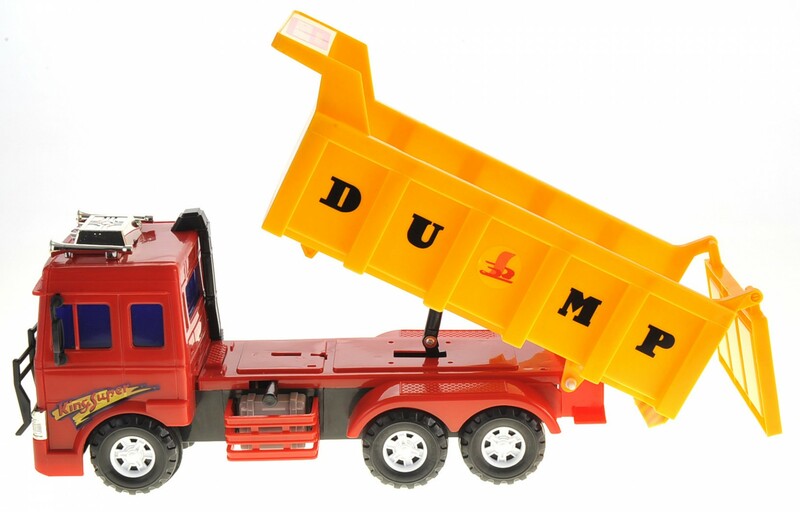 One press of the button on the side and the truck will dump the items out of the storage container. 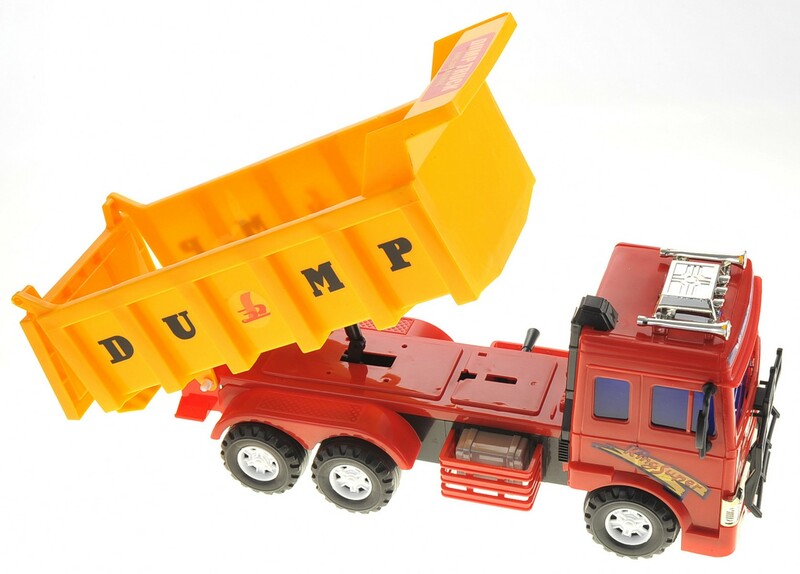 The truck is built quality and design to look like the real dump truck. 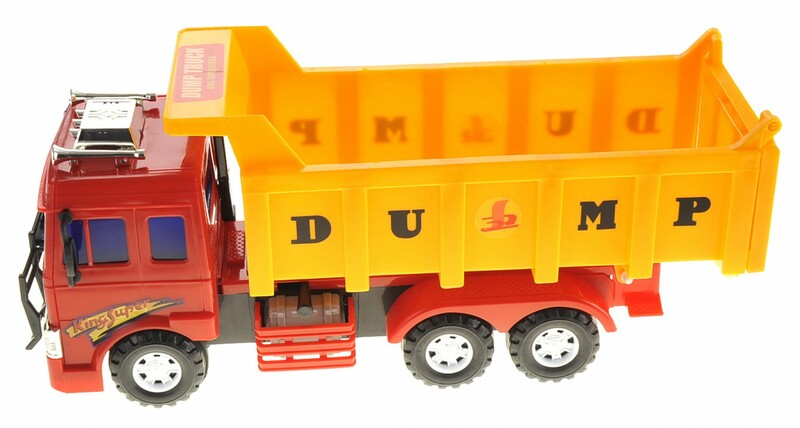 Friction powered, so just simply pull the vehicle backward and watch it go!